PSL provides a platform for all cricketers, but the ones who gain the most benefit out of this are the domestic performers who are unable to make it into the national team due to tough competition. February 4, 2016 marks an extremely important date in the history of Pakistan cricket. 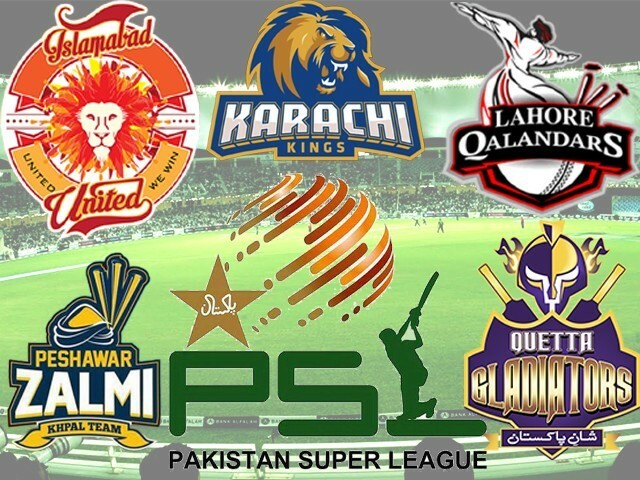 The idea which was first conceived in 2012 is finally going to turn into a reality; the curtain will rise and Pakistan Super League (PSL) will surface onto the stage of lucrative Twenty20 cricket leagues. PSL has five teams; Islamabad United, Lahore Qalandars, Karachi Kings, Quetta Gladiators and Peshawar Zalmi. They were sold for a total of $93 million and the teams will battle it out for a winning title. PSL Chief Najam Sethi had promised to bring in stars of the T20 format in the inaugural edition in order to boost the value of the tournament and fortunately this promise was fulfilled. Karachi Kings, captained by Pakistan’s all-rounder, Shoaib Malik, is a definite threat to the other outfits in the tournament. With the services of world-class all-rounders such as Shakibal Hasan, Imad Wasim and Ravi Bopara, the team is going to add a lot of excitement on the cricketing grounds of UAE. The inclusion of Mohammad Amir and Sohail Tanvir will give a great boost to their bowling attack as well. Pakistan’s Test Captain, Misbahul Haq, is leading Islamabad United. This team boasts of Shane Watson as their most celebrated player. Being touted as the most complete team of the tournament, Islamabad United enjoys the availability of massive talent in terms of batting and bowling. Andre Russel, Samuel Badree, Mohammad Irfan, Umar Amin and the form-finding Saeed Ajmal are top-rated players who will help Islamabad chase the title. The most talked about team of the tournament, Peshawar Zalmi, has promised entertainment and victory under the captaincy of Boom Boom Shahid Afridi, the captain of the team. Wahab Riaz, Shaun William Tait and Junaid Khan will deliver pace for the team with the Kookaburra ball while Afridi, Darren Sammy, Kamran Akmal and Mohammad Hafeez along with Tamim Iqbal will be in charge of the batting line-up. 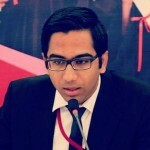 Quetta Gladiators is being led by Pakistan’s wicketkeeper-batsman Sarfraz Ahmed. English batting star, Kevin Pietersen, was opted by Quetta as their Iconic player. Still, this team is being called the underdog of the tournament. With batsmen such as Sarfraz, Pietersen, Ahmed Shahzad, Asad Shafiq and Saad Nasim and bowlers like Umar Gul, Zulfiqar Babar and Jason Holder on the team, Quetta Gladiators can work themselves up to becoming the dark horses of the event. Lastly, the most promising yet unbalanced team in the league is Lahore Qalandars. The team is led by Pakistan’s ODI captain, Azhar Ali, who has never appeared in an international T20 for the country. The team comprises of players who fluctuate between two extremes – hit the ball or get out. Chris Gayle, Umar Akmal, the brilliant fielder Mohammad Rizwan, the out of form Sohaib Maqsood and the never-performing Hammad Azam are part of team. Lahore Qalandars lost Mustafizur Rahman as their bowling option after the Bangladesh Cricket Board ruled him out in order to rest him for the upcoming World T20 in March. The dibbly-dobbly bowler, Cameron Delport, along with the untested Zafar Gohar, are the best bowling options for them in the spin department. Yasir Shah may not be a part of the team as he is awaiting a hearing from the International Cricket Council regarding his positive dope test. It’s a 24-match tournament, which will be played in a double round-robin format with each of the five teams playing each other twice in the group stages. Four teams will advance to the playoffs and of course, one team will be sent home in this process. The playoffs will be played in a typical Indian Premier League (IPL) style, where the first two teams topping the table in the group round will face each other in the first playoff. The winner will move into the final directly, while the losing team will be able to salvage another chance to enter the final. The winner of the second playoff between the third and fourth team of the group stages will then face the losing team of the third playoff in order to land a spot in the final. Karachi was sold for the highest amount of money to the ARY Media Group for $26 million. Lahore came in second with Qatar Oil winning the bid with $24 million. UAE Capital Venture paid $15 million for Islamabad, Haier purchased Peshawar for $16 million and Omar Associates won the bid for Quetta for $11 million. With the inaugural edition boasting a prize pool of $1 million, there is a lot of money up for grabs for the franchise owners. With a large number of Pakistanis watching and supporting teams in the IPL, there is a big market for franchises to earn profits through shirts, mugs and other accessories. Meanwhile, sponsors on kits will also drive in cash for the franchises. PSL management’s decision to include at least two emerging players in the squad rule has helped newbies and domestic players make their way into Pakistan’s first lucrative league. The opportunity will allow them to taste international level cricket along with with great monetary incentives. Meanwhile, the oldies and the tried-and-tested veterans will avail the opportunity to please the crowd and add more people to their fan bases around the world. What is the spectators’ role? Pakistan cricket fans will be most delighted to see PSL finally take off. They now have teams and players to look forward to from their own country. They will cherish the opportunity to boast about their own personal league. Most importantly, they will have another avenue of debate open for them – discuss PSL teams and players rather than the conventional debate on the Pakistani national teams.